In an increasingly online world, there is more data about the average person floating around than ever before. Even for those who don’t use social media, profiles are being pieced together little by little through information gleaned from the profiles and digital footprint of your connections. Unless you live completely off of the grid, it turns out that it’s next to impossible to keep your data from being used in one way or another to allow companies to turn a larger profit. The recent Cambridge Analytica scandal regarding shady data collection from Facebook profiles has monopolized the news in the past few days, and the reason we know about it is due to one young man: Christopher Wylie. Whistleblowers are an important part of keeping corporations accountable. By breaking the news on shady or illegal activity, conscientious employees and citizens with inside information can take steps to keep both workers and the general public safe from the influence of companies that put profits above all else. Cambridge Analytica was allegedly used in order to sway the decision of voters during this past presidential election by using micro-targeted political ads that took into account personal information to tailor campaigns. As more news comes to light that there may have been a significant amount of interference in the campaign, social media networks are under fire for allowing misleading advertisements, and a lot of the recent discussion is as a result of Christopher Wylie and his commitment to bringing the truth to light. Christopher Wylie grew from humble beginnings to one of the biggest names on the political scene. As a child, he struggled with attention deficit hyperactivity disorder (ADHD) and dyslexia. When he left school, he was an average student at best – but within a year he was working in the office of the Canadian opposition. Two years later he had taught himself to code, and in 2010 he went to study law at the London School of Economics. 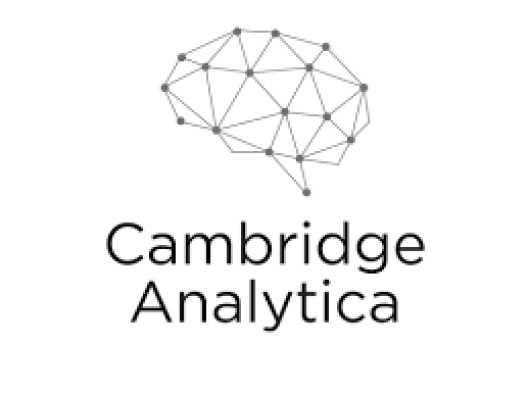 Back in 2013, Christopher Wylie was introduced to a company named Strategic Communication Laboratories group – a company with a subsidiary called SCL Elections that would later create Cambridge Analytica with the assistance of the young superstar. The idea of Cambridge Analytica on its own is not necessarily nefarious. The company offers services to businesses and political parties with claims that they can combine predictive analytics, behavioral sciences, and data-driven advertising in order to give clients the data they need in order to run an effective campaign. Christopher Wylie took issue with how exactly they went about collecting this data, however – becoming a whistleblower who reopened the discussion about how companies use our data and the huge effects that a company with enough access and resources can have over something as important as a presidential election. In addition to assisting with Donald Trump’s election campaign in 2016, Cambridge Analytica also played a large part in the Leave campaign for Britain’s EU membership referendum. Christopher Wylie spoke out to the media, emphasizing Steve Bannon’s critical role in the company and how the Breitbart mogul was “his boss.” Bannon was apparently deeply involved in the Cambridge Analytica operations, approving nearly $1 million in funding to acquire data – including numerous Facebook profiles – back in 2014. Christopher Wylie told of the plan to harvest the Facebook profile of millions of users and create personal political ads based off of their private information, but the company lacked the data they needed to do so until a partnership was created with a company called Global Science Research – owned by Cambridge academic Aleksandr Kogan and specifically focused on the harvesting and processing of Facebook data. The information leaked by Christopher Wylie showed that Cambridge Analytica spent $7 million in order to acquire Facebook data, with $1 million of that funding going to Global Science Research. The US House Intelligence Committee Democrats have since reached out to Christopher Wylie and asked him to give an interview as part of their ongoing investigation into the alleged Russian interference in the election, with special attention paid to the potential ties with the Trump campaign. While many were aware of the fact that companies like Facebook and analytics firms were profiting off of data, not as many were aware of the massive implications that smart and targeted micro-advertising could have. With many Americans unhappy with the results of the election, the fact that the win could have potentially been swayed by firms like Cambridge Analytica is especially frustrating. Christopher Wylie and his whistleblowing is already leading to some new legislation being introduced in the EU. Whether that spreads to countries like the US that were most affected by this recent breach remains to be seen.